Need assistance with a reservation? John’s Pass Village (at the north end of Treasure Island). St. Pete Beach to the south has a large number of stores, restaurants and bars. St. Petersburg is to the east of Treasure Island and boasts Major League Baseball, world-renowned museums, world class dining and a busy downtown district. 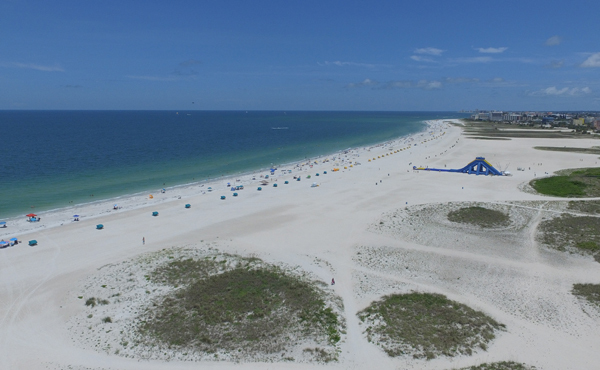 Plan your sunny, sandy Treasure Island escape today at Westwinds Waterfront Resort. Come personally experience our unique beach lifestyle, our vast sporting and recreational activities, fresh seafood, great shopping, family fun and endless sunshine. Proud of its heritage, today’s Treasure Island is a unique blend of a small town laid back beach community and an internationally known family vacation destination. Have Questions? Please feel free to fill out the form and a representative will get back to you shortly. “My husband and I shared the weekend with our great friends and had a wonderful time. The accommodations were fantastic, very clean, high end furnishings and large living areas. Large kitchen, dining area, living room, two bedrooms and two baths. “This Resort has beautiful, newly renovated, spacious suites with great furnishings for a very comfortable vacation. Very clean, which is always very important to me. Fully equiped kitchens with granite countertops and stainless steel appliances which was great for us since we didn’t want to go out for dinners every evening. Our suite # 207 overlooked the bay which was very nice and relaxing. Excellent location, across the street from the beautiful beach, grocery store within 3 minutes walk. Staff is extremely friendly and helpful. A lot of great restaurants around. We come to this part of Florida very often and we will be back to this resort for sure. “We have stayed in many condos, but Westwinds was the most comfortable and clean. The host were so helpful and accommodating that we will recommend to all of our friends. “Just got back from a two week stay at Westwinds. Had a wonderful time and the accommodations were wonderful. Stayed in room 306 which is a two bedroom two bath. Newly renovated and beautiful with great views of the intercoastal, pool and beautiful sunrises! The sun sets out the front and is beautiful too. Jimmy Dean went out of his way to accommodate us as my sister came to join us and he installed a queen bed in the second bedroom to make her comfortable. Just great! Both Jimmy and Di were great hosts. You get what you pay for, believe me. “This condo is absolutely gorgeous!!! It is truly just renovated – very tastefully decorated with impressive top grade features. Our room was very large and exceptionally clean – even exceeded my expectations. We cooked a full meal in the full kitchen (everything we needed was there). The manager on site was extremely helpful, friendly and responded quickly to all of our needs. There is a beautiful few of the bay from the room and it has easy beach access. The pool is right on the bay and there is a fishing dock. Publix, Walgreen’s and many restaurants are very close by. We stayed here for my daughter’s birthday and had the very best time!!! Will definitely stay again.